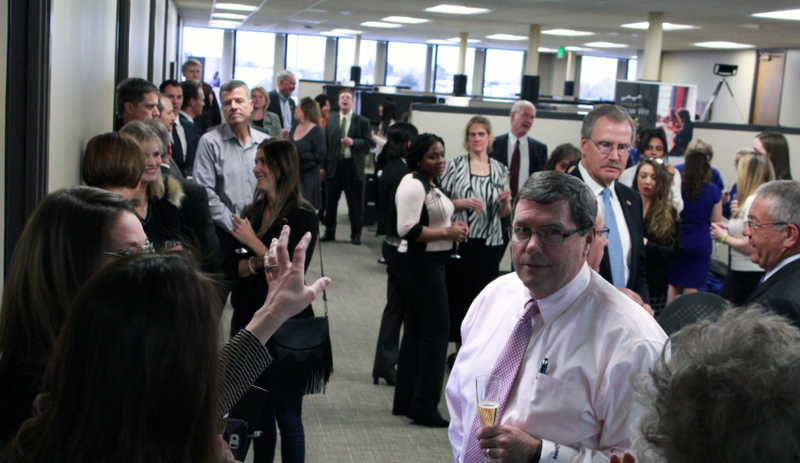 Today marks an important day in company history as we officially cut the ribbon on our new corporate headquarters. We're excited to add so many new jobs the local and state economy. 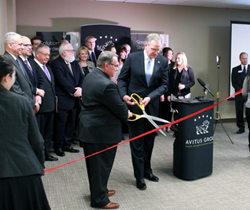 Avitus Group, a company that helps simplify, strengthen and grow other businesses by taking responsibility for necessary, yet burdensome administrative tasks, like payroll, accounting and taxes, marked the opening of its new Aurora Corporate Headquarters with an official ribbon cutting and champagne toast ceremony February 4, 2016. 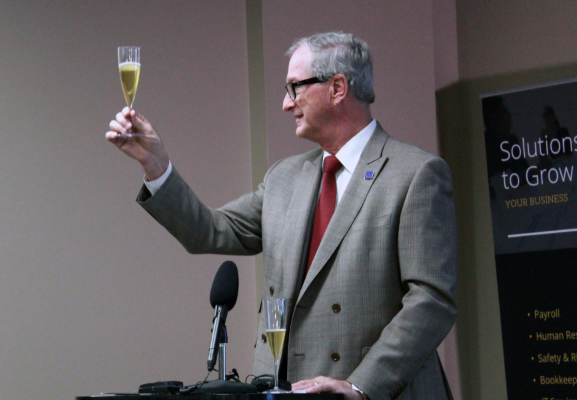 Aurora Mayor Steve Hogan led the toast and Aurora Chamber of Commerce President/CEO, Kevin Hougen led the ribbon cutting. 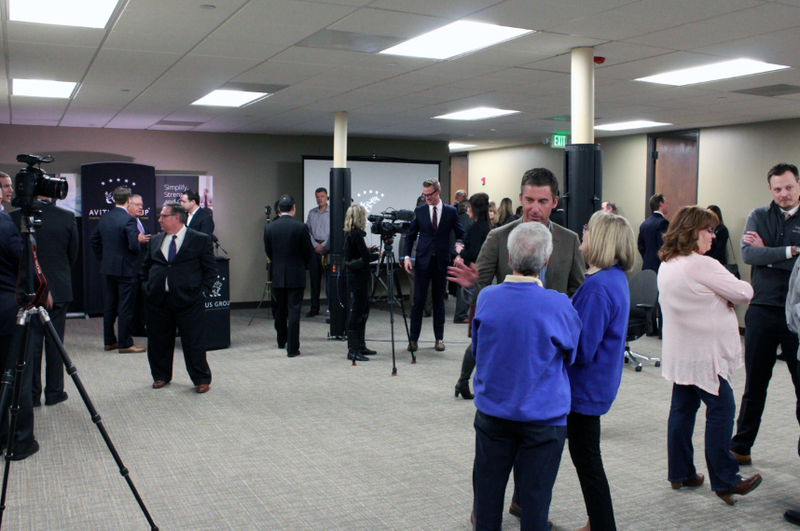 The event was packed with more than 100 attendees from the business community, including multiple local and state dignitaries. 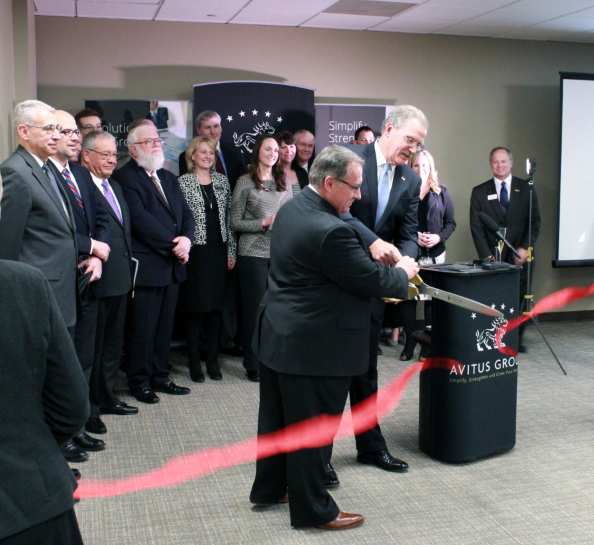 "Today marks an important day in our company history as we open our corporate headquarters in Aurora," says Avitus Group CEO and Chairman of the Board, Willie Chrans. 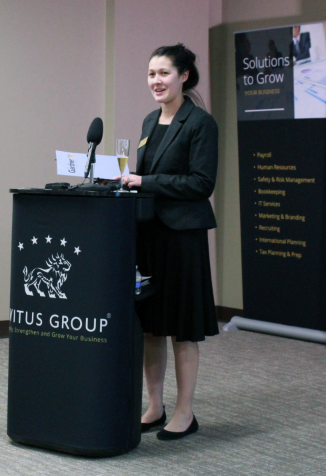 "Avitus Group exists to help businesses simplify, strengthen and grow. Today, our business is growing. We are one of the top co-employers in our industry nationwide, and our growth projections have us hiring an estimated 500 internal staff members in this corporate office in the next decade to keep up with our growth." Avitus Group has 10 regional offices located throughout the United States, serving clients nationwide and worldwide. Company officials say growth plans, in addition to hiring efforts at the new corporate headquarters in Aurora, include maximizing hiring efforts in regional offices as well, particularly the company's Billings, Montana Operations Center, which currently employs 158. "We are investing in our future, and that means investing in all of the local communities we call home. Each city is critically important to our overall growth plans and ability to serve our clients. In Billings for example, we've recently added more square footage to accommodate plans to hire an additional 80 staff in the near future. In Aurora, the hiring is already underway, and we're excited to add so many new jobs to the local economies across the United States," says Avitus Group Public Relations Manager, Dianne Parker. 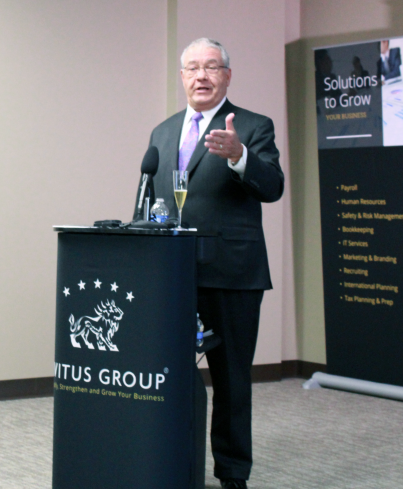 Internally, Avitus Group has 262 employees across the U.S. Currently, 32 of those are located in the Colorado market, with 10 new hires set to join the team by the end of February. Chrans addressed Colorado staff members at the ribbon cutting event, announcing they will be joined by an additional 40-50 employees by this time next year and some 40-50 more each year after that for the foreseeable future. 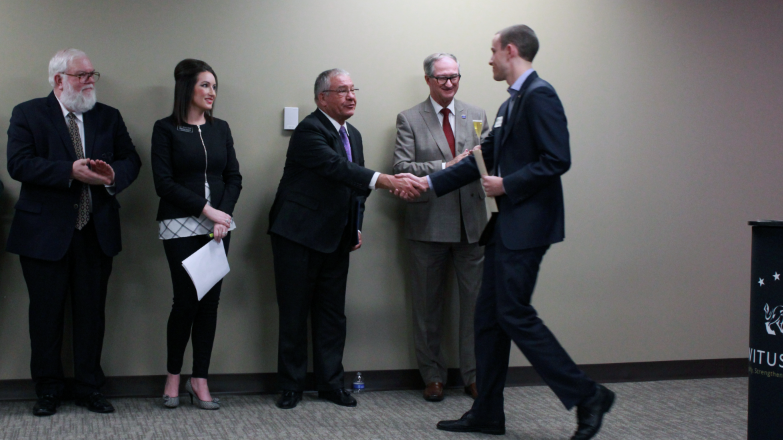 "This means opportunities for advancement within the company for you, as well as good-paying jobs for those who are out there looking for employment," commented Chrans. Avitus Group's Corporate Headquarters is located in one of Aurora's most prominent and visible buildings along the I-225 corridor, Cherry Creek Place. 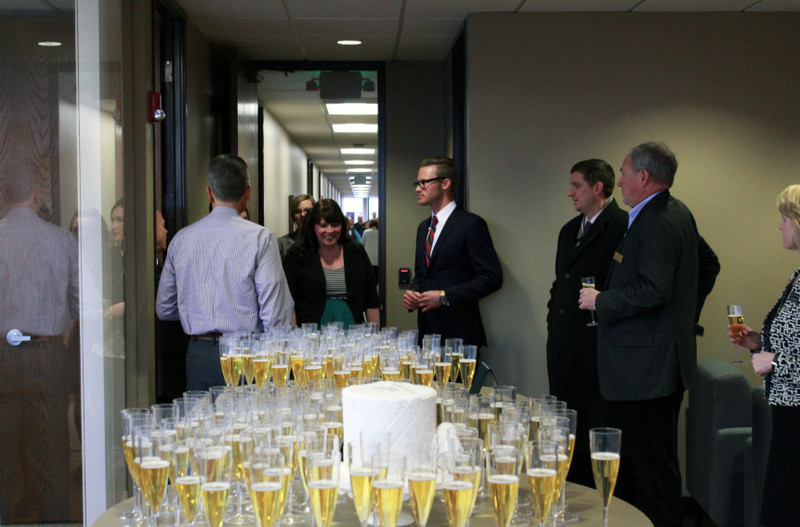 February 1st, following a custom build out of the office space, employees moved into 3131 S. Vaughn Way, Suite 400. The prime office space boasts 11,000+ square feet with room to nearly double the square footage by 2018. 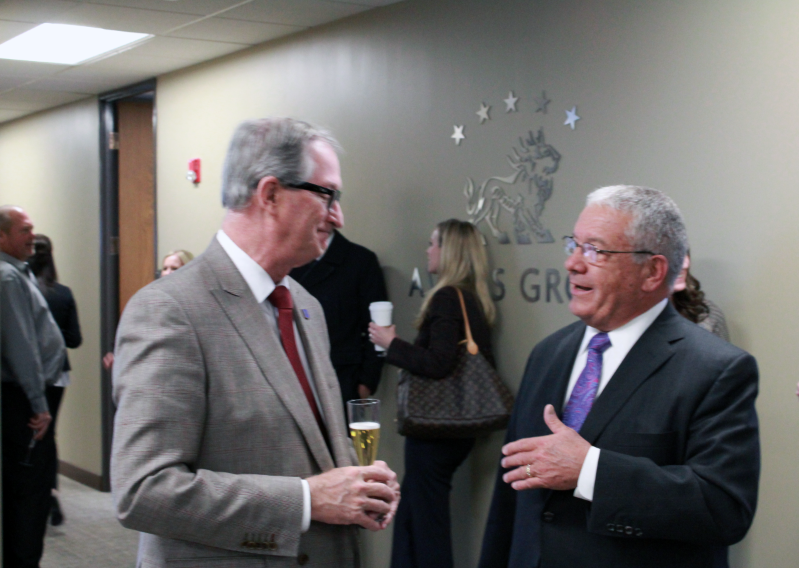 Members of the business community toured the new space during the ribbon cutting event, and speakers included: Avitus Group CEO & Chairman of the Board, Willie Chrans; President Avitus Payroll Services, Inc. & President Avitus Business Services, Inc., Ken Balster; President Avitus, Inc, Don Reile; Aurora Mayor, Steve Hogan; Director of Business Development for the Aurora Economic Development Council, Yuriy Gorlov; Chief of Staff for Colorado Congressman Mike Coffman, Ben Stein; Regional Director for U.S. Senator Cory Gardner, Annie Larson; Aurora Chamber of Commerce President/CEO, Kevin Hougen and Business Liaison for U.S. Senator Michael Bennet, Derek Dash. 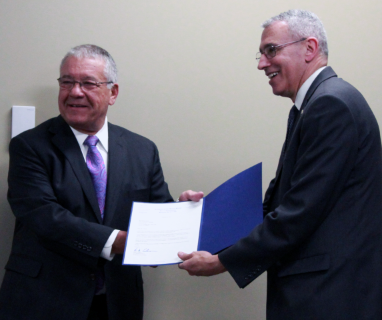 "It is exciting to see the support pour out from the Colorado business community. From several high-ranking local and state officials, to our outstanding clients and association partners. Colorado is committed to us, and we want Colorado to know we're committed to helping businesses simplify, strengthen and grow, which in turn will help grow the local and state economy," says Avitus Group, Inc. President, Don Reile. "We're excited about what's ahead in Colorado, and at all of our regional offices across the U.S. as our company grows and expands." 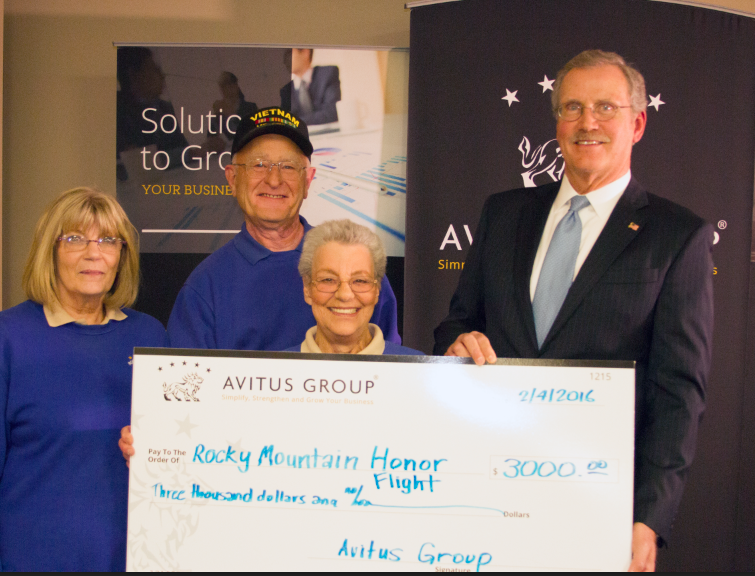 Avitus Group wrapped up the official ribbon cutting ceremony with a check presentation to the Rocky Mountain Honor Flight organization. 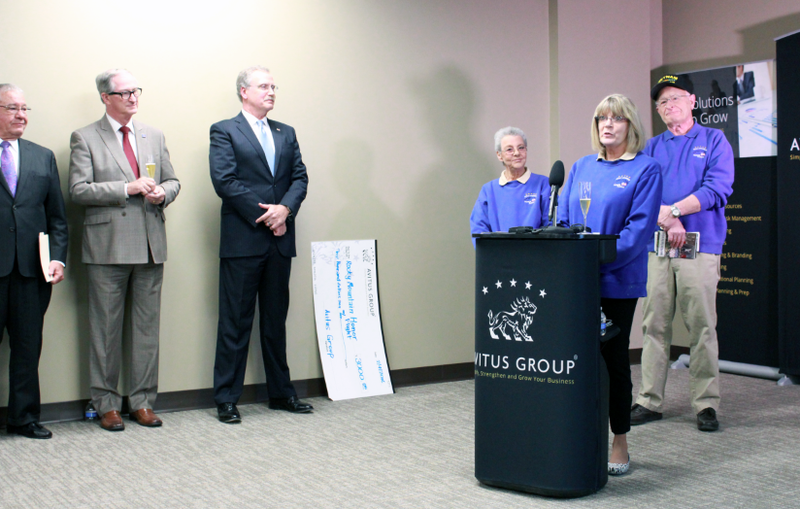 President of Avitus Payroll Services & Avitus Business Services, Ken Balster, who is a Navy veteran, announced the company's support for veterans. Balster kicked off the company's Colorado 2016 giving campaign by sending 3 WWII veterans on the next (May, 2016) honor flight to D.C. to see their memorial. He also announced the company's involvement with the Warrior to Work Program, as well as additional veteran hiring efforts in Colorado. "Thank you to the Rocky Mountain Honor Flight for all the exceptional work you do to make the state of Colorado a better place to live for our veterans. You give so much, and the recipients of your program have given so much. 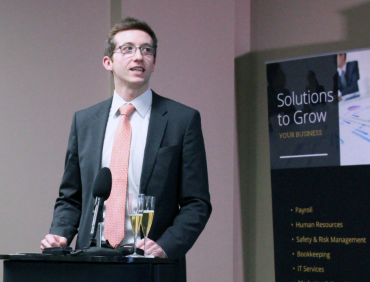 This is the least we can do to support the communities that support our business," commented Balster. Avitus Group is a worldwide company that simplifies, strengthens and grows businesses by providing 'back office' support (Payroll, accounting, taxes, recruiting, information technology, etc.). When a business uses Avitus Group, all of the necessary yet burdensome functions of the business become Avitus Group's responsibility, so the business can focus on what it does best. Avitus Group serves clients nationwide through regional office locations from coast to coast. The company also serves international clients through partner locations in Europe, Canada, China, England, India, Japan and Singapore.